I am not as musical as I would like to be, not as musical as my brother, father and paternal grandmother that’s for sure. 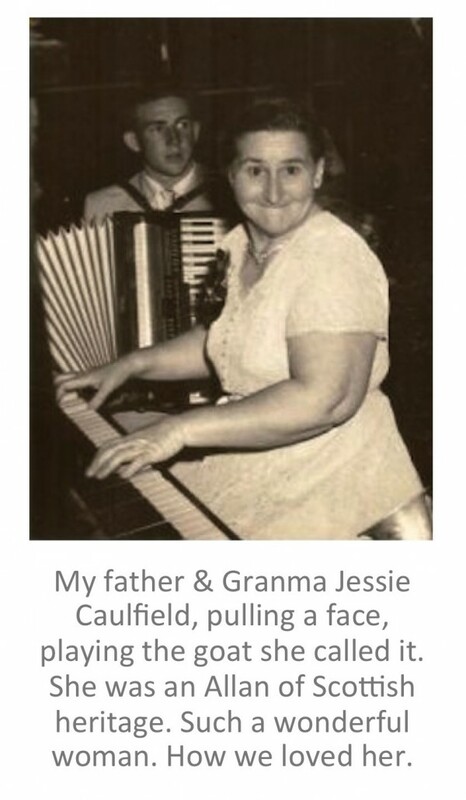 Granma Jessie Caulfield was a fine pianist. She could play practically anything by ear. I used to love listening and watching her play In the Mood, Baby Elephant Walk and the mournful Godfather theme song. She never seemed to tire. She had a pianola, which we all wanted to play. Even though it was hard work pressing those pedals, press we did, hoping that by osmosis we too could tinkle the ivories just like her. My grandmother had been playing the piano since the nineteen teens. During the second world war her husband, my grandfather, a taxi driver, would often arrive home for dinner, calling out as he came up the stairs, ‘Another one for dinner, Mama,’ giving her five seconds warning to rise, warmly greet a US soldier and put on more vegetables. But it was never a bother. She loved welcoming people into her home. Afterwards, she would play the piano for them with my aunt and uncle joining in for sing-alongs. She played at country dances and private parties as well, and as my father grew up, he too would join her, playing the piano accordion. Years later when my brother, Greg, and I arrived we would tag along to these social events and at the end of many a gathering, everyone would form a large circle, hold hands, sing and charge to Auld Lang Syne – literally translated as ‘old long since’ but commonly translated as ‘for the sake of old times’. It was my favourite part of the entire evening, albeit a challenge sometimes for me to stay awake till this climax – particularly on New Year’s Eve. To me, singing Auld Lang Syne was a sacred ritual that bound people together in a way that words or physical actions rarely ever did. To stand in that circle and hold someone’s hand gave me a palpable sense of belonging. This humble Scottish tune fills me with bittersweet nostalgia every time I hear it. It fills my throat with a great lump of emotion every time I sing it. Sadly it’s an important tradition, a beautiful tradition, that is dying. In Come What May there is a moment when something sacramental is called for to mark the significance of an occasion. And in that moment one of my characters steps forward and sings Auld Lang Syne. This version and this clip come close to capturing what that moment was like. 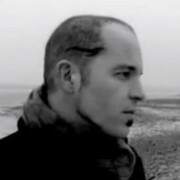 The singer is Daniel Cartier from New York; the clip was filmed on a windswept winter’s day on Cape Cod. Provincetown, at the tip of Cape Cod, was charming, full of wooden clapboard houses and shopfronts. I bought a set of earrings made from space shuttle material, or so I was told. The Sonoma chardonnay we drank over dinner was mellow and superb. Everywhere we went the people were wonderfully friendly and as Mark and I discovered wonderfully gay. We could very well have been the only straight couple in town. We stayed in a place that reminded me of the inn from Nights of Rodanthe. Being the quiet season we had a choice of rooms. We chose one on the bottom level at the rear with glass windows around three sides opening to a bleached wooden deck hovering just above the grey sleepy sea. Late that afternoon a storm with winter lighting (!) swept across the harbour. It was exciting and elemental, lashing all around us while we were high and dry in our glass cube. Years later when I was writing Come What May and wanting my character to sing Auld Lang Syne I went searching for the song, just for the pleasure of listening to it once more. And that is when I stumbled upon Daniel. His version warmed my heart in so many ways, reminding me how fortunate my life has been, reminding me of loved ones who are no longer with us, reminding me of the beauty of wide open spaces and the communion of kindred souls. It’s one of those rare songs that makes me feel joy and sadness all at once. Faces from the past… faces from the present… all come together and tug at my heart. The one constant we have in life is change. In every life there are heartwarming hellos and heartbreaking goodbyes. That’s not always easy to handle. Embracing the new. Letting go of the old. Laughter and tears. This song has always driven these points home to me. I recorded this version in my home studio. The whole process took 10 minutes. I had a good cry when I was through. 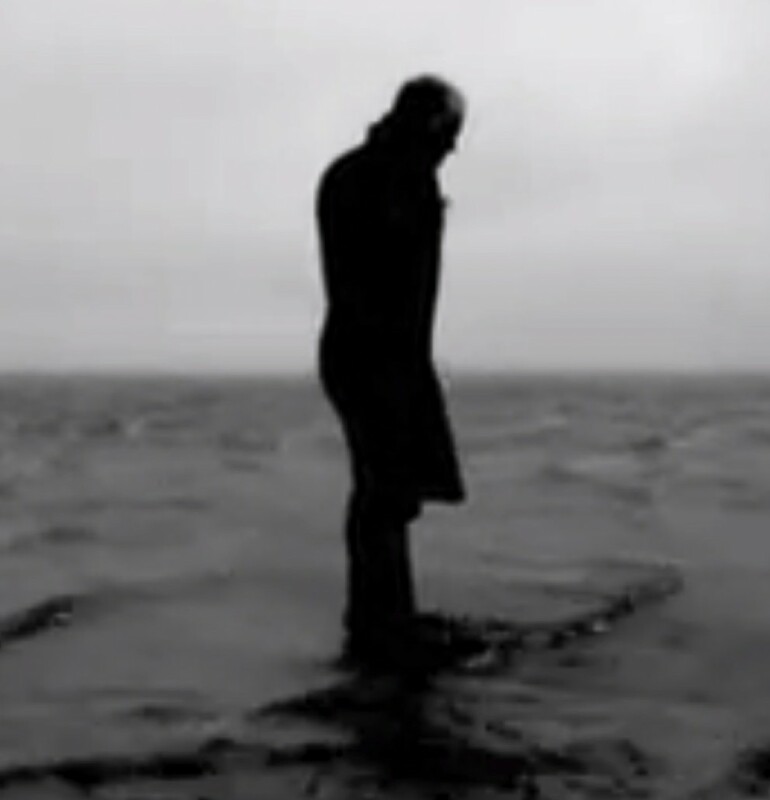 A few days later – my partner and I filmed the video with a cellphone, on a deserted beach of our beloved Cape Cod. It was well below freezing and very windy. I think we were on the beach for 15 minutes.